Just 205 brake horsepower. That, when the ‘C4’ generation of Chevrolet Corvette was introduced in March 1983, was all its fuel-injected 5.7-litre V8 could muster. These days, the ‘horsepower per litre’ crowd would merrily rip apart an engine producing such unremarkable figures. Horsepower alone, though, never gives you the whole picture. For starters, that same engine produced a stout 290lb ft. The Corvette also weighed just 1414kg, which aided it in attaining a sub-7.0sec 0-60mph time. Its top speed was a then-scorching 145mph, too, thanks in part to its low-drag design and small frontal area. 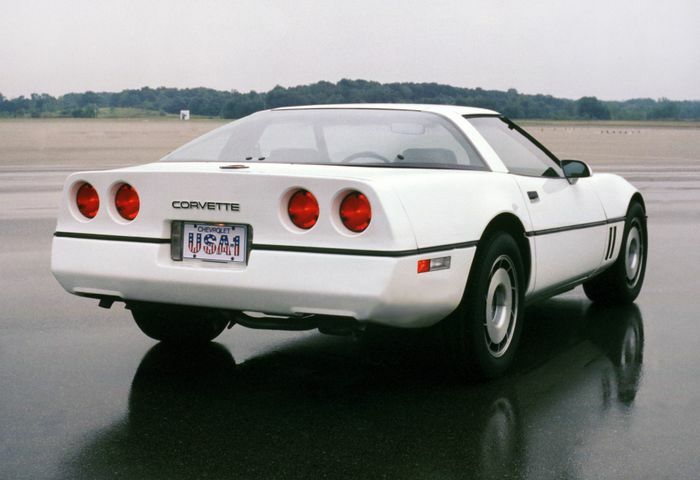 All in, the Corvette’s straight-line performance was on a par with top-flight European offerings such as the Ferrari 308, Lamborghini Jalpa, Porsche 911 and the 928. Chevrolet’s compact, straightforward V8 was also as reliable and as maintenance-intensive as a paving slab, unlike many exotic alternatives. 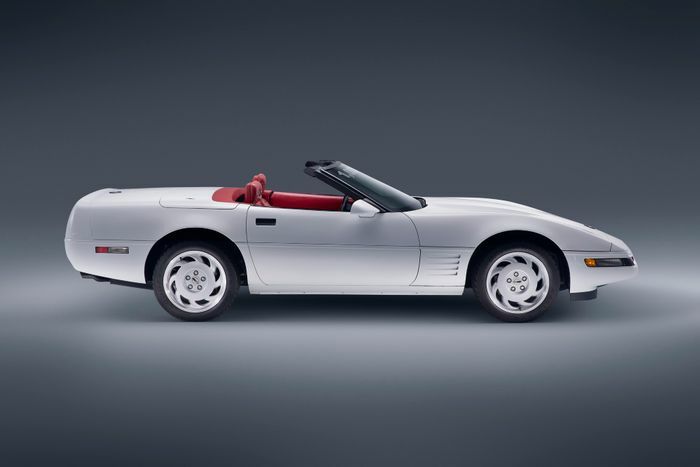 There was more to the Corvette than its aurally gratifying and durable V8, though; under its composite bodywork sat a galvanised steel structure and an aluminium backbone that tied the engine and transmission to the rear end – a configuration also later used by the Mazda MX-5. The C4 further benefitted from independent suspension, which made extensive use of aluminium components throughout. Other enthusiast-sating features included a limited-slip differential, substantial four-wheel disc brakes and compact, lightweight transverse composite leaf springs. Sure, the C4’s interior often left many potential buyers wanting but, in short, Chevrolet spent the money where it mattered. You also have to remember how little the Corvette cost. 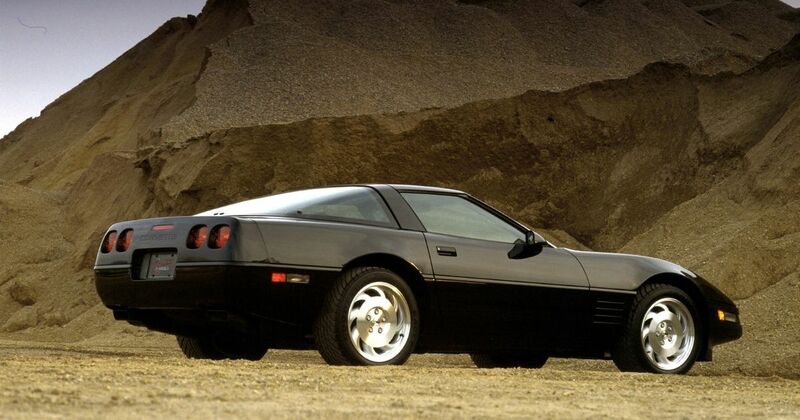 If you wandered into a dealer to buy a 1984 model year C4, it’d set you back $21,800. 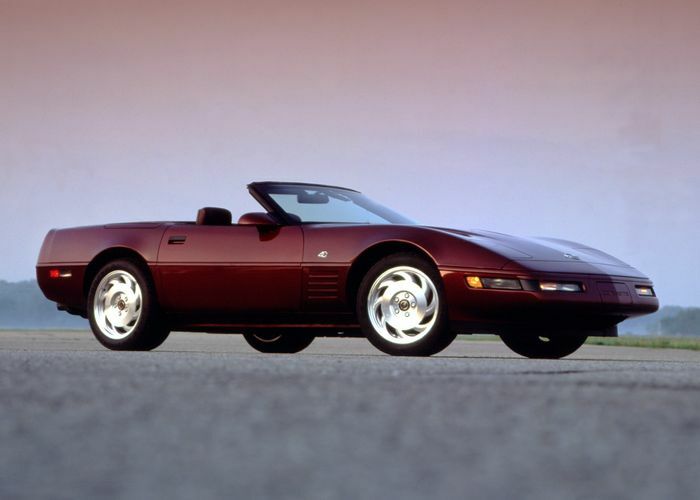 Many griped about the Corvette’s low-quality plastic trims and squeaks and rattles but, if you wanted the finely-honed Ferrari or Porsche alternative, you’d have to stump up more than twice the Chevrolet’s asking price. 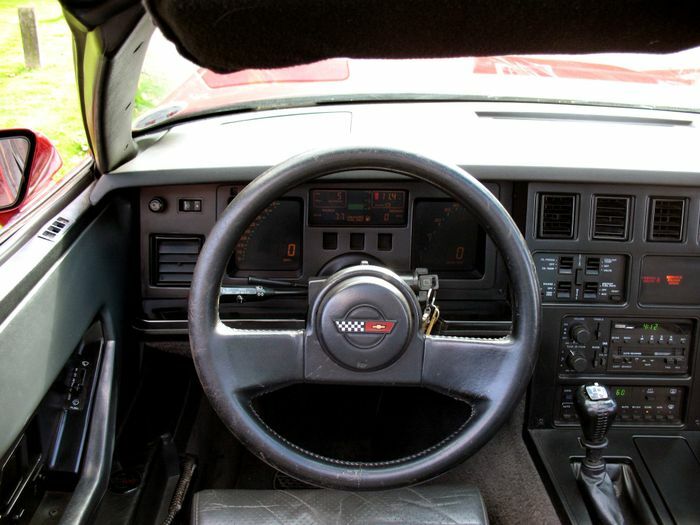 Cars such as the Porsche 928 were unquestionably easier and more forgiving to drive quickly but, again, some of the criticisms levied against the Corvette were frequently unjustified. The oft-cited cripplingly firm ride, for one thing, was typically due to the configuration of the particular car in question. This was because many C4s were specified with the optional ‘Z51 Performance Handling Package’ - which added Bilstein dampers, stiffer springs and an even quicker-ratio steering rack. So equipped, the already firm Corvette would become almost intolerably harsh and snappy. Properly specified or on appropriate surfaces, though, the chassis was capable of dealing with far more power – and far more power was to come, ranging from the flexible 245bhp ‘L98’ to the later 405bhp quad-cam ‘LT5’. That engine, in its earliest 385bhp incarnation, would secure the flagship ‘ZR-1’ Corvette numerous production world records – including averaging 173.79mph for 5000 miles. Today, some might cast a cursory eye over a C4 and assume it’s an oversized, overweight coupe. The reality is that, by modern standards, it’s quite light and compact; for comparison, a C4 has an almost identical footprint to that of a current Porsche Cayman and often weighs the same. 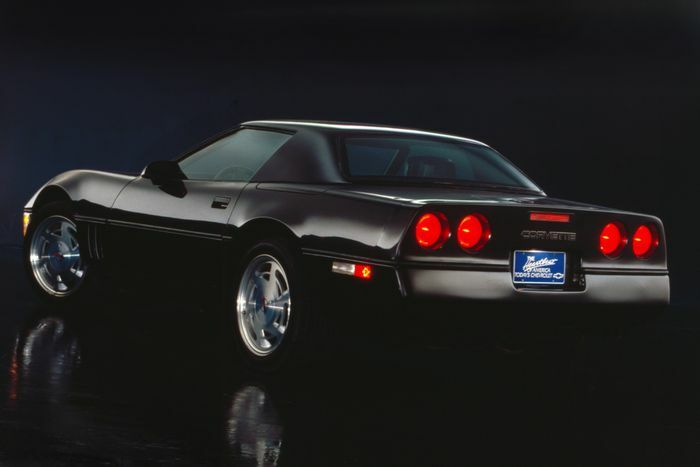 You don’t have to break the bank to get into a Corvette of this era, either. Trawl the classifieds and you’ll be able to find six-speed manual variants for upwards of £7000 in the UK market, or less than $10,000 in the US. ‘King of the Hill’ ZR-1s command a premium but, even so, those supercar-rivalling coupes can be had for around £15,000. Consequently, C4s can make for interesting and inexpensive alternatives to numerous rear-drive coupes. This isn’t just conjecture, mind; over the years, I’ve owned three – and each has served up affordable performance in a durable, easily maintained package. Want to really impress people? Well, thanks to the plethora of parts available for the C4, the sky’s the limit when it comes to performance. You could even go so far as to build a replica of the fabled Callaway ‘Sledgehammer’. In 1988, the street-legal Corvette hit 254.76mph – fractionally exceeding the top speed of the 253.81mph-capable Bugatti Veyron that would follow in 2005. What’s remarkable is that the Callaway achieved such heady speeds with ‘just’ 920bhp in race trim, eight cylinders, sixteen valves, two turbochargers, a five-speed transmission with overdrive and no active aerodynamics – while still retaining creature comforts such as air conditioning. The 987bhp Veyron? Well, its hardware list was about as long as your average CVS receipt, with highlights including 16 cylinders, 64 valves, four turbochargers, a seven-speed dual-clutch transmission, all-wheel drive and adaptive aerodynamic and suspension systems. The Sledgehammer might have even been capable of going faster, gearing and power permitting, as its highly guarded and bespoke Goodyear tyres – a set of which cost $1 million to make – were reputedly rated for 300mph. 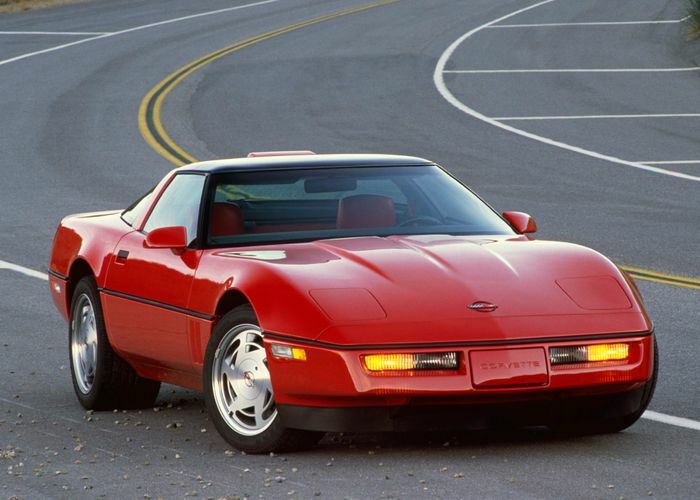 Regardless, although the C4 Corvette has its flaws, it’s not a car that should be automatically dismissed as some inelegantly engineered and underperforming American attempt at a sports car. Get your hands on a good example, buy a few upgrades and you’ll have yourself a reliable and entertaining piece of machinery – and one with what many would consider the correct cylinder count.